U.S. non-proliferation envoy says Washington hoping to fix Iran deal's flaws with supplementary agreement. 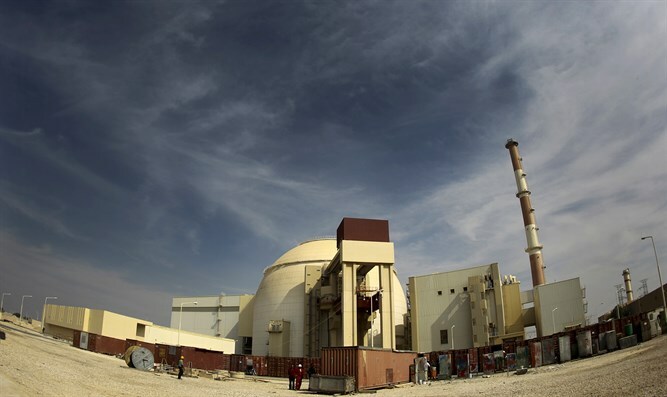 The United States is not seeking to reopen or renegotiate the Iran nuclear deal but hopes to stay in it to fix its flaws with a supplementary agreement, U.S. non-proliferation envoy Christopher Ford said on Wednesday, according to the Reuters news agency. “We are not aiming to renegotiate the JCPOA (nuclear deal) or reopen it or change its terms,” Ford was quoted as having told reporters on the sidelines of a nuclear non-proliferation conference in Geneva. “We are seeking a supplemental agreement that would in some fashion layer upon it a series of additional rules - restrictions, terms, parameters, whatever you want to call it - that help answer these challenges more effectively,” he added. U.S. President Donald Trump and French President Emmanuel Macron pledged on Tuesday to seek stronger measures to contain Iran, but Trump refrained from committing to staying in the 2015 nuclear deal and threatened Tehran with retaliation if it restarted its nuclear program. However, he made clear it was the last time he would extend the waiver and has given the European signatories the May 12 deadline to “fix the terrible flaws” of the deal. On Tuesday, Trump met at the White House with Macron, who has been leading an effort by France, Britain and Germany to find those "fixes" to the deal that would satisfy Trump's objections. Macron said he spoke to Trump about a “new deal” in which the United States and Europe would tackle the outstanding concerns about Iran beyond its nuclear program. “If we were able to meet that challenge of bringing our partners together ... President Trump made it clear that his decision not to renew the sanctions waivers would be revised, and that is where I hope we are now today,” Ford said on Wednesday, according to Reuters.